Hungry and broke? 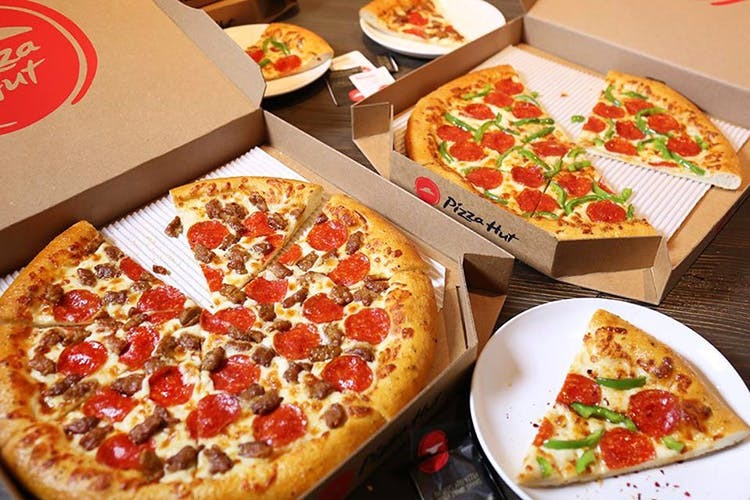 Let your nearest Pizza Hut outlet be the beacon of shining hope with their pizza deals that will take care of your hunger without leaving you having to break into a bank. All through the week, from 11 am to 11 pm, you can have a three-course meal for just INR 179. An appetiser, a medium-pan pizza, and a beverage are what you will get with this meal. Fridays are when Pizza Hut lets you eat all the pizza there is. For INR 249, you can have as many vegetarian slices as you want and that includes personal pizzas too. And for INR 299, it’s a delight for those who prefer meat on their pies. The slices are medium pan pizza slices and cannot be shared. Yeah, no bringing the squad and trying to sneak pizzas to your friends.